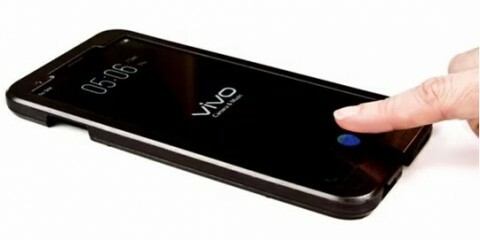 Vivo has unexpectedly announced that recently presented at the Consumer Electronics Show 2018, the Vivo X20 Plus UD smartphone with a fingerprint sensor integrated in the display is not only ready for mass production but will also be on sale soon. Now its characteristics and estimated cost became known. Apparently, it will be the world’s first commercial device on the market with this function. Vivo X20 Plus UD is almost a complete copy of the conventional Vivo X20 Plus. It will receive a 6.43-inch AMOLED display with an aspect ratio of 18: 9, an eight-core Qualcomm Snapdragon 660 processor, 4 GB of RAM, a built-in 128 GB storage and a battery capacity of 3,900 mAh. In the prototype presented at CES 2018, the scanner was triggered in about 0.6-0.7 seconds, which is slightly longer than in smartphones where the sensor is placed on the case. It is expected that by the start of sales the manufacturer will increase the speed of unlocking. According to the latest data, Vivo X20 Plus UD will be on sale by the end of this month for about $ 575. This vivo X20 plus is woow! Well designed and nice storage space and Ram.. But fair battery! The price is too expensive though! That’s cool.. A very nice device by vivo! They are still coming up! Wish them best of luck.. But it’s so expensive sha! Vivo are still building their technology market up. Vivo are also making nice devices. We are waiting for this device.